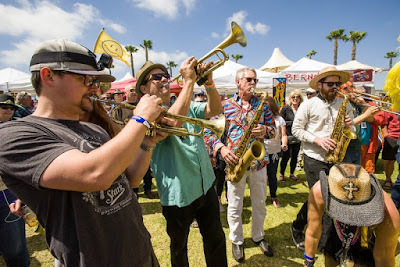 The largest, most-authentic Louisiana-themed music and food festival this side of the bayou will return to San Diego's Spanish Landing Park for its 17th incarnation this May 10-13. 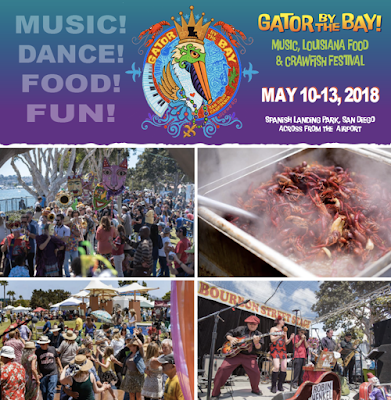 Gator By The Bay offers attendees four days of live music with more than 100 musical acts on seven stages, as well as a delicious array of southern cuisine - including 10,000 pounds of fresh crawfish trucked all the way from Opelousas, Louisiana. We are raffling off 2 VIP Patron Passes, as well as offering promo code SDVILLE, which is good for $5 off nearly any ticket type until May 9. "Gator By The Bay is a can't-miss event that brings Louisiana’s rich culture to the West Coast by showcasing the region’s eclectic melting pot of history, food, music, dance and more," said Gator By The Bay Producer Peter Oliver. 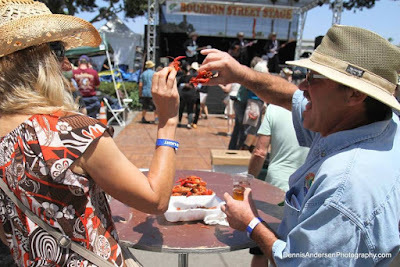 "We invite both San Diegans and visitors from afar to immerse themselves in an authentic Louisiana experience - from joining in on an extravagant Mardi Gras costume parade to breaking out some Zydeco dance moves on the floor to cracking open a flavorful crawfish." Since its inception in 2001, the Gator By The Bay festival has grown to showcase a diverse selection of music genres including blues, salsa, Zydeco, Cajun and country. Grammy-winning artists directly from Louisiana, legendary Chicago and California blues artists, rockabilly and roots performers and award-winning salsa and Latin bands have performed each year. The highly anticipated festival has become an annual must-do for enthusiasts of all ages who travel from throughout California and most all of the other U.S. states, Canada, Mexico, Europe, Asia, New Zealand and Australia. The festival kicks off on Thursday, May 10 at 6pm with a concert by blues vocalist Shana Morrison, who started her career in her father Van Morrison’s band. The event continues through Sunday, May 13, with a jam-packed lineup of performers. The festival boasts five wooden dance floors, including two 3,000 square foot shaded dance floors at each of the two main stages. For those who want to shake shimmy or stomp your feet in other than freestyle there will be free lessons by some of the finest dance instructors in the country. The French Quarter Food Court features the authentic tastes of Louisiana with many vendors making the cross-country trip just for the festival. Attendees can indulge their palates in Louisiana-raised crawfish, boudin sausage, catfish, alligator, barbecue and oysters. And the cuisine wouldn’t be complete without well-loved favorites like gumbo, jambalaya, po’ boys and etouffée. Satiate your sweet tooth with decadent beignets, sweet potato pie, homemade ice cream, pralinesand bread pudding. Aspiring Southern chefs and home cooks can visit the Taste of Louisiana Food Pavilion, where Louisiana and local professional chefs will host instructional cooking demos and yummy tastings of classic Southern dishes. You won’t want to miss this sharing of the secrets of Southern cooking! 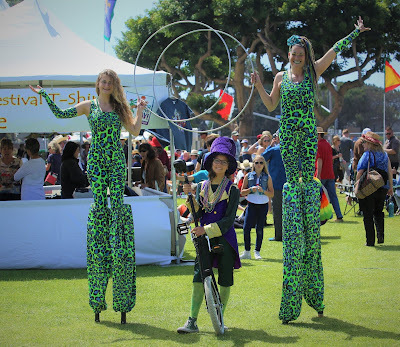 All areas of the festival are open for children to enjoy the music, color, spirit and activities of the weekend celebration. Special family fun activities include the costumed Mardi Gras parades, outrageous hat-making with the Rad Hatter and colorful face painting. 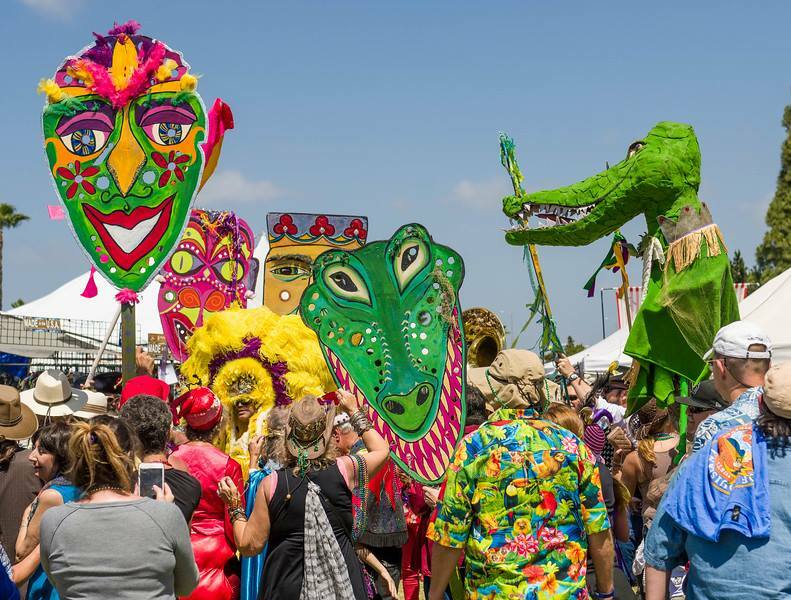 The market area also offers a curated selection of retail vendors, featuring Mardi Gras-inspired goods and clothing, art, hand-made jewelry, dancing shoes and accessories. Advance discounted tickets for Gator By The Bay are on sale online now. Thursday night concert tickets range in price from $35 to $95. Daily festival tickets range from $35 to $40. 3-day and 4-day passes are available for the deepest discounts. Children 17 and under are admitted free with a paid adult. Hosted Patron Passes are available for $120 per day (Saturday or Sunday) or $200 for both days, and include food and drink. Promo code SDVILLE saves $5 per ticket on any ticket type except the Saturday night concert. Our promo is only open until the end of the day on May 9, so act fast. For more information on the Gator By The Bay festival, tickets, lodging options, parking and free shuttle info, visit gatorbythebay.com.